BESCOM is the power supplier in Karnataka and covers 8 districts. Bangalore also comes under its power supply coverage. 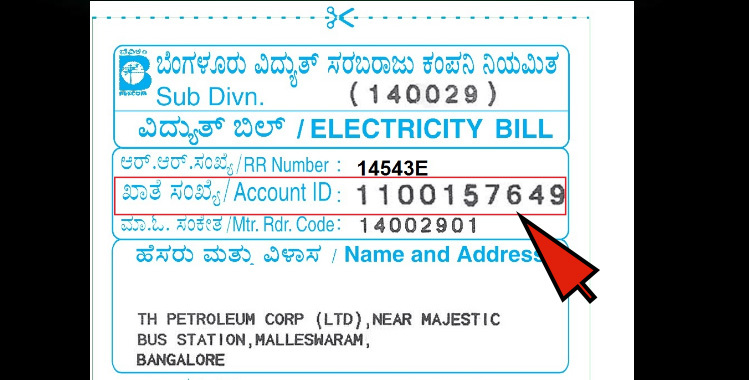 BESCOM has given customers the facility of online electricity bill payment in Bangalore. With this, you don’t need queue up in the electricity offices. Step 2- At the homepage, you will see the several options and at the left side you will also see the signing in option but there is also a quick payment option for online electricity bill payment in Bangalore. All you need is to click the option online payment blinking on the screen. Step 3- At the next page, you will see you are asked to fill the account ID. If you are confused what is your account ID? no worries. There is given the option How to find out Account ID? Please check here. Step 4- When you click on the help option then you will a sample generated on the page just to tell you where your account number lies on your bill receipt. Step 5-Now fill the account number in the options account ID. Step 6- Then fill the given code made of alphanumerical combination in the box and click on continue option. Step 8- Then agree with the terms and conditions of online payment and click on the option make payment. Billdesk mode of payment - Online, debit and credit card. IDBI bank mode of payment- debit and credit card. Step 10- Select the billdesk mode of payment and then on pay now option for online electricity bill payment in Bangalore. Step 11- At the next moment, you will be redirected to the gateway where first you have to fill your email id just to confirm your transaction. Then click on continue. Then click on the option make payment. Step 13- Select MPIN or OTP option for authentication and complete the transaction. Step 14- after the successful transaction you will see a receipt with complete details. If you want to make a print out of it you can do that. Step 15- after the process you will also receive a confirmation mail related to your transaction. 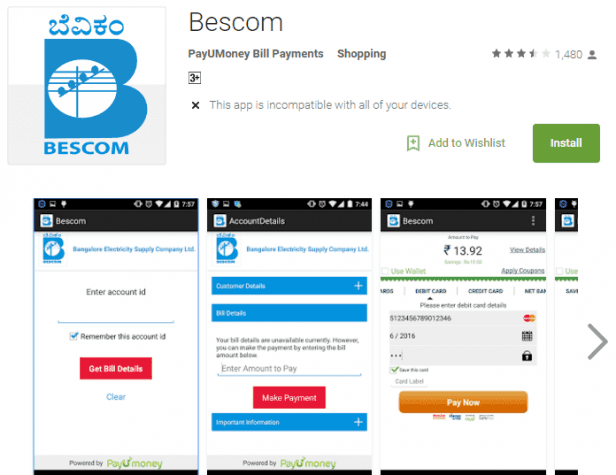 Step 1- Go to google play store and download the bescom application. 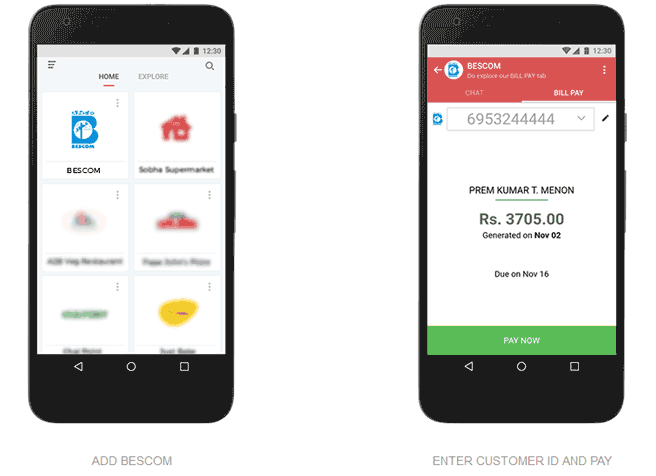 BESCOM Bill Online Payment by "goodbox"
Goodbox is one of the way to make make a BESCOM online payment. 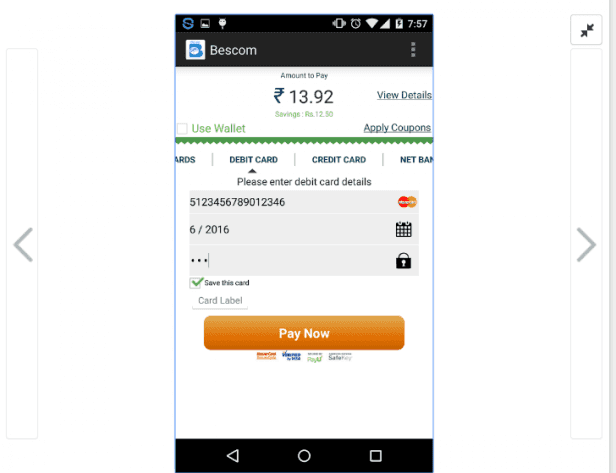 Basically goodbox is providing online application to pay your BESCOM bill online quickly. By using this application you will get many feature like monthly alert by SMS, eamil and app alert. you can pay pill using online payment, credit card, debit card etc. 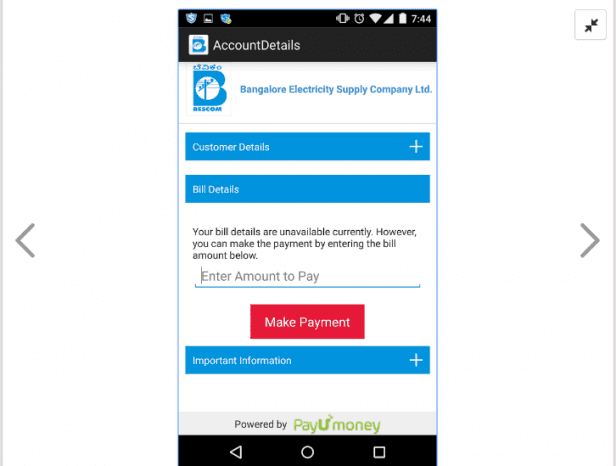 How to pay through BESCOM bill through "Karnataka Mobile One"? Step 1: Open google play store. 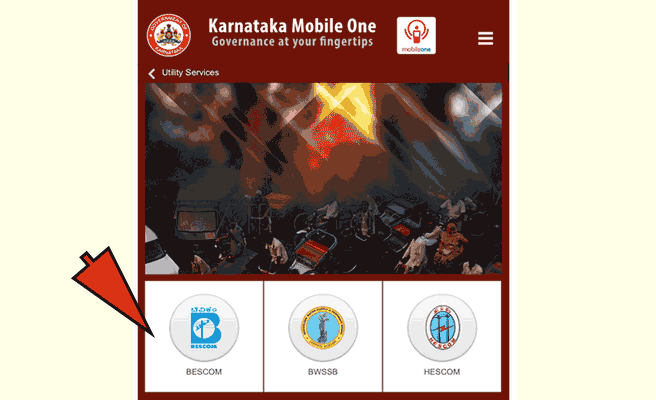 Step 2: Type and search "Karnataka Mobile One" Application. Step3: Install the app. Step 4: Register and pay bill. Step 2- At this portal, you will see the 2a option how to for bill payment and online services click on that option. Step 3- First register yourself at the given option ‘new user- click to register’. Fill your user ID and password. If you don’t your id it will be printed on your bill receipt. There it will be mentioned as an account number. After filling the account number and the code in the box then you will receive a mail containing the password. Fill the password in the password option and click on the option sign in. At the account summary page click on the option pay bill. Step 5- At the next page, you will see pay bill page where you have to choose the option pay bill for online electricity bill payment in Bangalore. Step 6- After that select the account ID. If there are more than one account ID then choose select all option. Step 7- Fill the amount in the option amount pay. Step 8- Then agree with the term and conditions of online payment and click on the make payment option. If you want to see the payment history you can click on the option payment history. Choose the more convenient option. Step 10- Now suppose you have selected the debit card option then at the next page you have to fill the details related to your card then click on make payment. Step 11- After a successful transaction, you will receive an email related to you transaction details. If you wish you can make a print out of that receipt. Track bill- There is also given the facility of tracking your bill online. all you need is sign in and then fill your account ID and you can view your electricity bill easily. Corporate Office BESCOM K.R.Circle Bengaluru-560001 BESCOM Helpline-1912 Whatsapp number- 9449844640 SMS helpline 58888 Thus, with the help of above-mentioned ways you can do online electricity bill payment in Bangalore without stepping out of your home. Happy to help you.